Bridgestone B290 is one of the hottest selling tyres in the ‘B’ series by Bridgestone. The 3D tread grooves present on the chunkier centre blocks provide a stronger grip and makes for a safer and thus better driving experience even on roads that are wet. The tread and pattern noise is reduced to a large extent thanks to a unique design that arbitrarily varies the pitch of five different-sized tread blocks. There is a higher level of uniformity via the continuous nylon grip that enables the tyre to hold its authentic shape and raise performance levels. The sidewall appearance is quite beefy and muscular which would enhance the appearance of any car it would be used with. 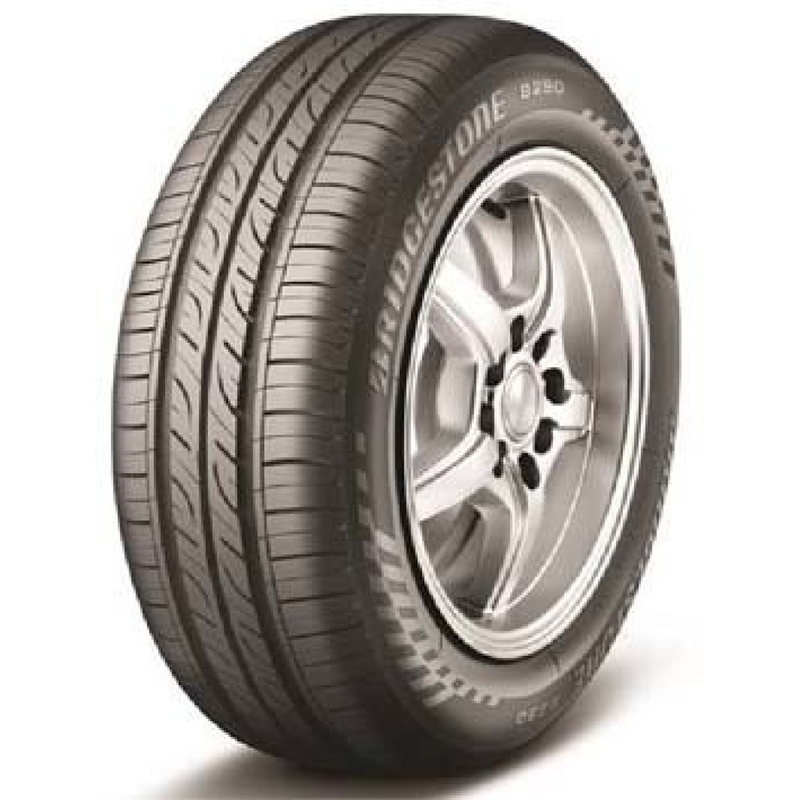 You can expect the Bridgestone B290 to provide better tyre life and increased fuel efficiency of your car. Attributed to the Flat Contact Patch design, the B290 has more squared off shoulders as compared to normal tyres. This helps to stop deformation caused by side-slips during cornering. The tyre can be used for the likes of Audi A4 and Maruti Suzuki Dzire, which shows its versatility and wide tyre size range. Bridgestone B290 offers formidable braking even on wet surfaces due to the unique mix of rubber compound. The dry braking performance is also nothing short of brilliance which leads to shorter stopping distance. The presence of low and high angle winding grooves along with flexible construction ensures better water dispersion and thus better travelling dynamics. Occupants can enjoy reduced noise levels as the B290 comes enabled by the random sequence arrangement of the 5 separate block pitches. The stiffness is uniform for each tread block resulting in reliable handling and superior stability at high speeds. Every block has identical hardness that provides better stability irrespective of its size. Bridgestone B290 tyres are ideal for highway and city use.